Let's start with a simple process to understand the area of concentration and the measurements used to collect data and what that might mean for our upcoming season. 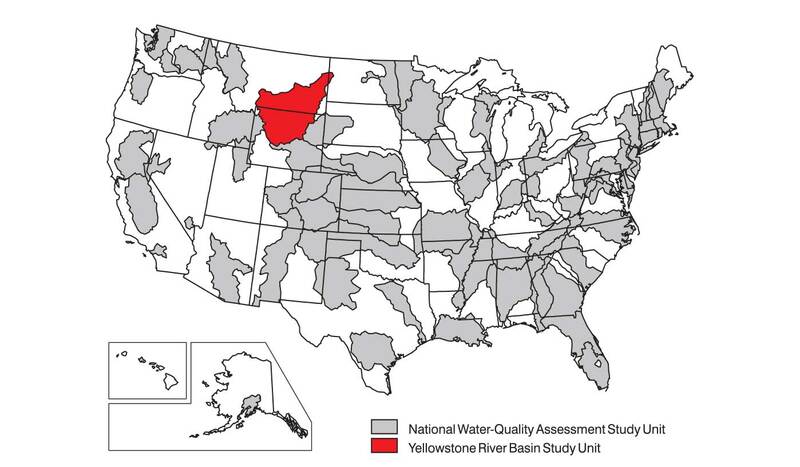 First, we are focused on the Yellowstone River Basin. This area is clearly defined using the map below. Next we will look at the year-to-date precipitation for the given area of study. Look at the bottom row and you can see the red arrow pointing to our area of study. You can see that we are at 88% of our average. We can start to make some assumptions from this data that river runoffs will be more than adequate to sustain the river ecosystem. It is here that we introduce an important distinction between snowpack measured in inches and snowpack as a percent of water content. 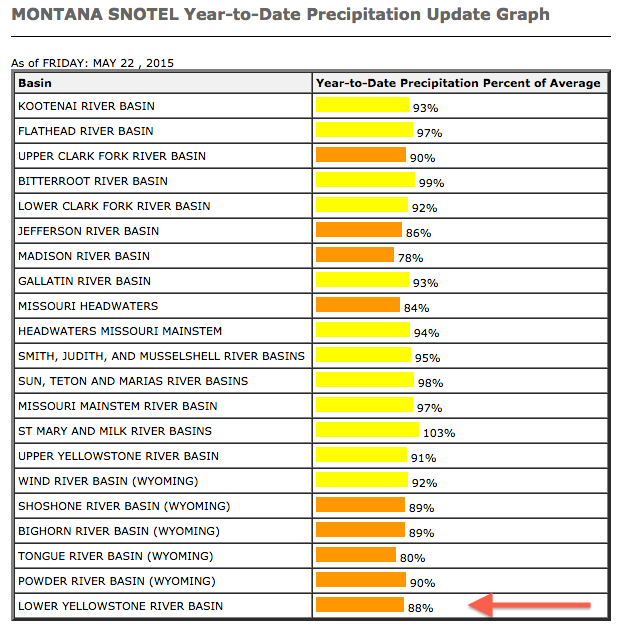 For instance, you might have more moisture packed into your snowfall and not know it and without understanding moisture content you might be mislead to think that runoff will be directly realated to a depth measurement when in fact it is due more to the amount of snowpack moisture content. Now that we understand what type of data will help us understand runoff amounts, have a look at the Snow Water Content chart below. Here we see the areas that we cover in our Montana fly fishing guided trips. 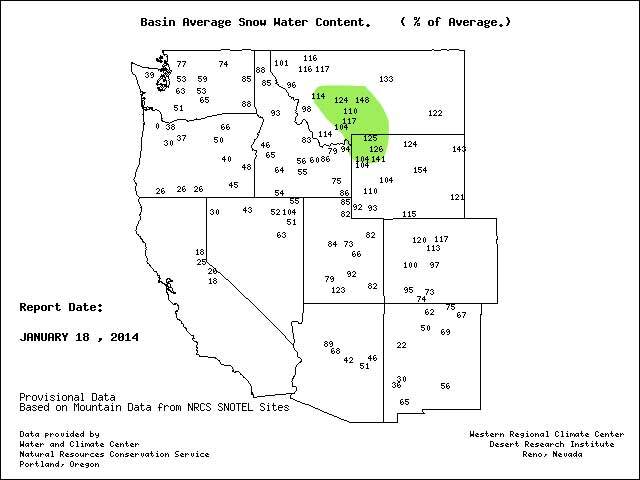 Last year, 2014, this area clearly benefited by a productive snowfall and snowpack. Percentages on average were all greater than 100% of normal. For 2015 we are seeing totals lower than average and in conclusion, using the latest data we can assume that the upcoming season will be fine for a productive fishing season however we'll monitor and adjust our fishing schedules accordingly. For those of you looking for more advanced data, have a look at this information. 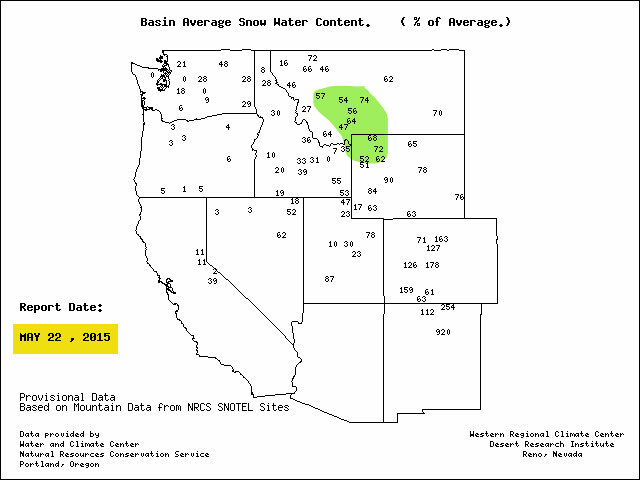 Here you'll find the snow-water equivalent as referred to as a percent of normal for a given time of year.